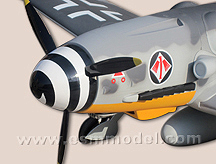 Wing span (spanwijdte) 2235 mm 88"
Electric retracts: including alloy wheels and oleo struts. Incorporate all of the latest design improvements. 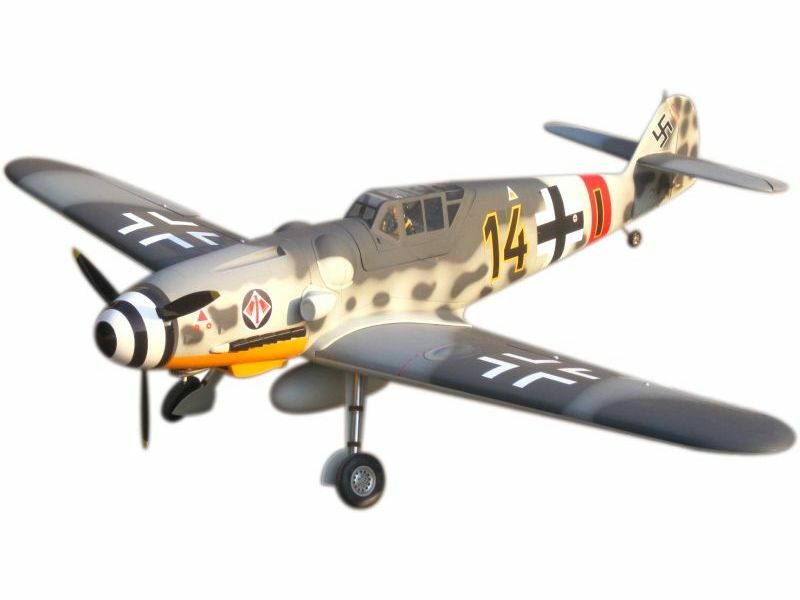 Designed in the 1930's by Willy Messerscht, the BF-109 (also known as the ME-109), was built in larger quantities than any other WWII fighter aircraft. 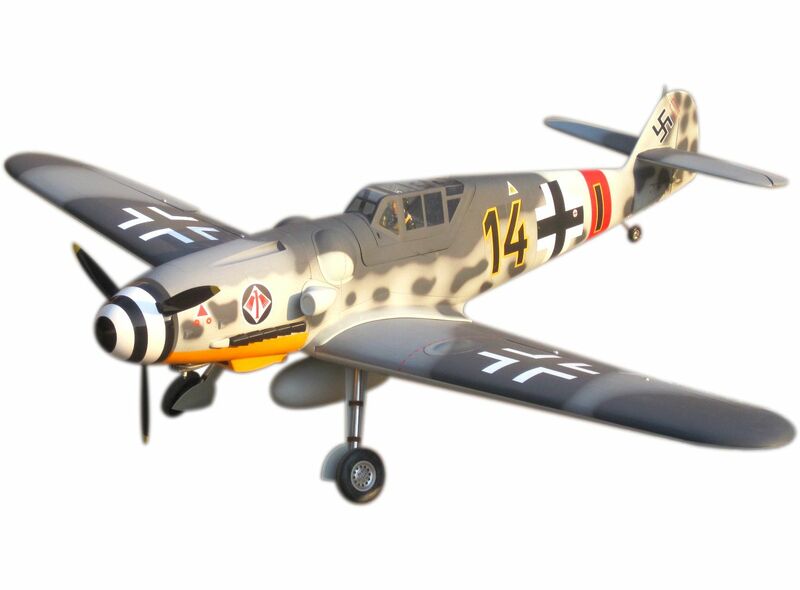 From a design perspective, the BF-109 was designed to reflect speed and straight line performance, rather than maneuverability. 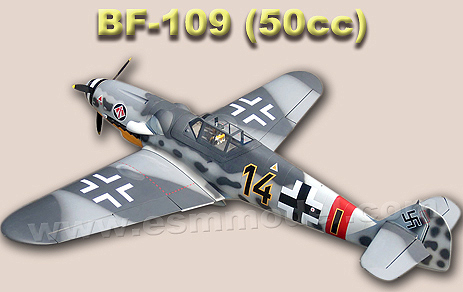 This stood in contrast with the Supermarine Spitfire, its main adversary. It could dive quicker than the Spitfire, which had to roll before entering a dive, giving it one combat advantage. It was substantially lighter, and had a different design theory, mounting of all structural points to a strong firewall at the front of the cockpit, including the wing spars, engine mounts and landing gear. In more conventional designs these would be mounted to different points on the aircraft, with a framework distributing the load among them.